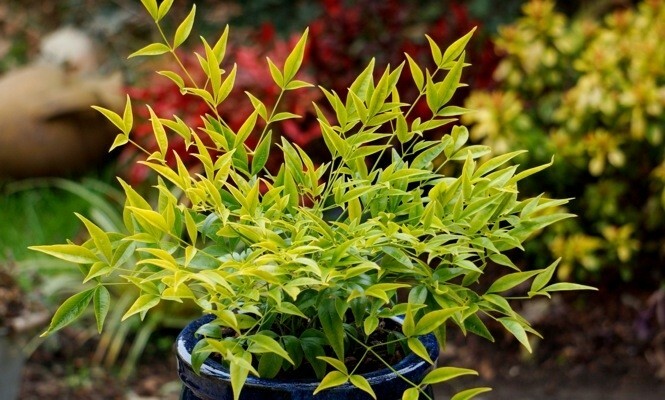 Nandina Brightlight is an award winning recent introduction that features radiant, chartreuse foliage providing a sunny appearance that will brighten up your garden or patio all year round. 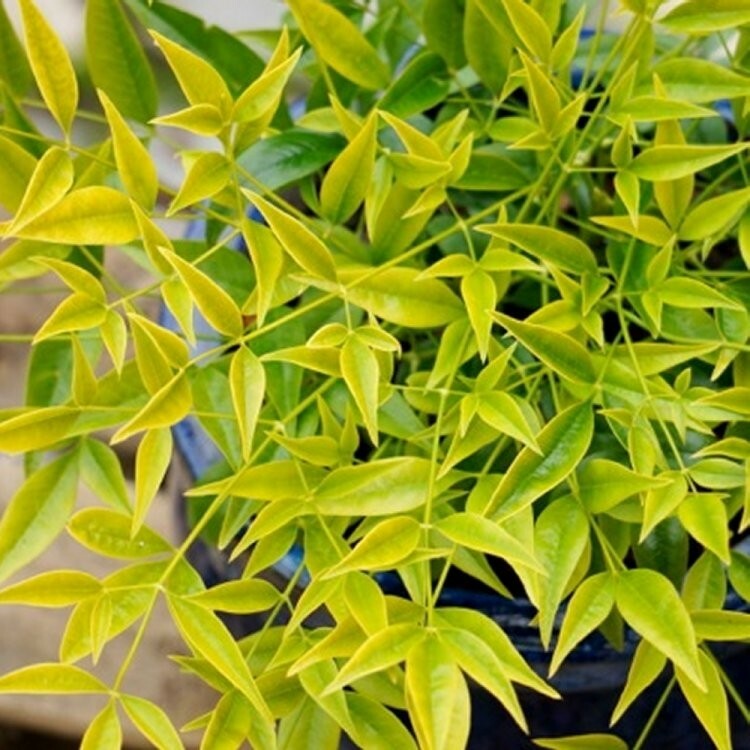 It also has an elegant leaf shape, unlike other Nandina varieties, you'll notice that it has longer and more slender foliage, plus in summer, white flowers will appear. Brightlight has a distinctive, upright growth habit, with some saying it even resembles a compact palm tree! 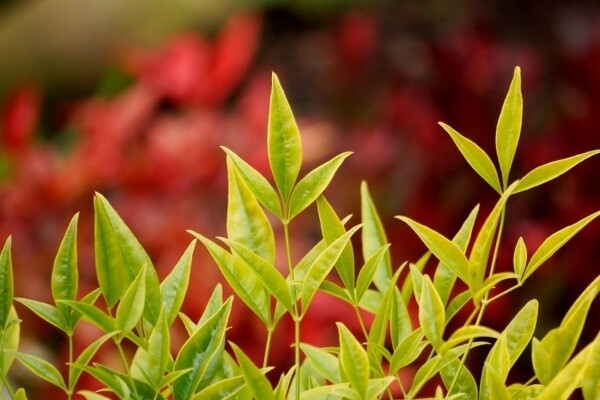 This beauty offers more than good looks though, Brightlight stands out for its winter hardiness, it is fully hardy, and will perform in very cold conditions up to -18C, so you’ll enjoy having Nandina, also known as “heavenly bamboo” in your garden all year. Trouble free and easy to grown, it will thrive in a fertile, moist well-drained soil in a sunny spot. After five years, it will reache around 150cms tall, with a width of around 50cms. 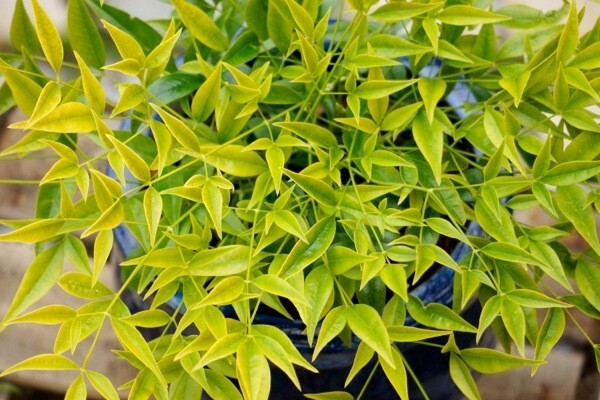 Perfect as a solitary plant in it's own on a balcony or terrace or equally at home in a shrub or jungle themed border, or even as mass planting. Supplied in approx 2-3 litre containers.